In April, several universal and regional human rights bodies and experts will review States’ compliance with their human rights obligations through the consideration of State and civil society reports, country visits, and the review of individual complaints. Five United Nations treaty bodies and one pre-sessional working group will hold sessions to assess States’ progress regarding the rights of persons with disabilities, migrant workers’ rights, enforced disappearances, the elimination of racial discrimination, and the prevention of torture. Seven UN special rapporteurs, two working groups, and one independent expert will conduct country visits in April. Additionally, three working groups will hold sessions in Geneva. Of the regional bodies, the European Court of Human Rights (ECtHR) will hold a Grand Chamber hearing. The UN treaty body sessions may be watched via UN Web TV. 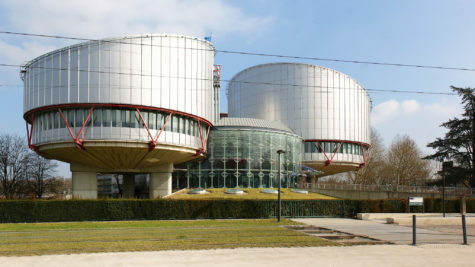 The public hearings of the ECtHR can be viewed on the Court’s website. To view human rights bodies’ past and future activities, visit the IJRC Hearings & Sessions Calendar. Five of the 10 UN human rights treaty bodies will meet this month to review certain States parties’ implementation of their treaty obligations. They are the Committee on the Rights of Persons with Disabilities, the Committee on the Protection of the Rights of Migrant Workers and Members of Their Families, the Committee on Enforced Disappearances, the Committee on the Elimination of Racial Discrimination, and the Committee Against Torture. Through the State reporting procedure, treaty bodies review States’ reports and responses to a specific list of issues, receive additional information from nongovernmental organizations (NGOs) and national human rights institutions (NHRIs), engage in an interactive dialogue with each State’s representatives, and then adopt concluding observations detailing the progress and remaining challenges in the State’s implementation of the treaty. Through a simplified reporting procedure, treaty bodies may invite States to respond only to questions (list of issues) prepared by the treaty body, rather than submitting a comprehensive report and also responses to a subsequent list of issues. The Committee on the Rights of Persons with Disabilities (CRPD) will continue holding its 21st Session, which began on March 11 and lasts until April 5, 2019, in Geneva, Switzerland. According to its proposed programme of work, the CRPD will be holding interactive dialogues with Cuba, Niger, Norway, Rwanda, Saudi Arabia, Senegal, Spain, Turkey, and Vanuatu to assess their implementation of the Convention on the Rights of Persons with Disabilities (CRPD). Additionally, the CRPD will consider list of issues prior to reporting for Belgium, the Cook Islands, the Czech Republic, and Denmark to address in its simplified reporting procedure. According to the information note on the participation of stakeholders, civil society members who would like to attend the CRPD’s session must register through the Indico system before April 5, 2019. To view session documents, including State reports and civil society submissions, visit the CRPD’s 21st Session webpage. For more information on the CRPD, visit IJRC’s Online Resource Hub. Following the CRPD’s 21st Session, the CRPD will hold its 11th Pre-sessional Working Group from April 8 to April 11 in Geneva, Switzerland. The Working Group will begin its review of State reports from Albania, Bangladesh, Estonia, Greece, India, Jamaica, Kuwait, and Myanmar to assess their compliance with the CRPD. Civil society members who would like to participate in the Committee’s pre-sessional working group must register through the Indico system before April 11, 2019. The Committee on the Protection of the Rights of Migrant Workers (CMW) will hold its 30th Session from April 1 to April 12, 2019 in Geneva, Switzerland. The provisional agenda for the session indicates that the CMW will conduct interactive dialogues with Albania, Guatemala, Libya, and Tajikistan to assess their compliance with the International Convention on the Protection of the Rights of All Migrant Workers and Members of Their Families. The CMW will also consider and adopt list of issues for Bolivia and Cabo Verde ahead of those States’ interactive dialogue, and lists of issues for Sao Tome and Principe under its simplified reporting procedure. According to the information note for Civil Society Organizations (CSOs) and NHRIs, individuals interested in attending the session must register through the Indico system by April 12, 2019. To view session documents, including State reports and civil society submissions, visit the CMW’s 30th Session webpage. For more information on the CMW, visit IJRC’s Online Resource Hub. The Committee on Enforced Disappearances (CED) will hold its 16th Session from April 8 to April 18, 2019 in Geneva, Switzerland. According to the programme of work, the CED will conduct interactive dialogues with Chile, Italy, and Peru to assess their compliance with the International Convention for the Protection of All Persons from Enforced Disappearance (ICPPED). The CED will also hold an interactive dialogue with Nigeria in the absence of a report, and examine and adopt list of issues for Bolivia and Slovakia ahead of those States’ interactive dialogues. The NGO information note advises that CSOs interested in attending the session must register through the Indico system prior to April 4, 2019. To view session documents, including State reports and civil society submissions, visit the CMW’s 16th Session webpage. For more information on the CED, visit IJRC’s Online Resource Hub. The Committee on the Elimination of Racial Discrimination (CERD) will hold its 98th Session from April 23 to May 10, 2019 in Geneva, Switzerland. According to its provisional agenda, the CERD will be hold interactive dialogues with Andorra, Guatemala, Hungary, Lithuania, and Zambia to assess their implementation of the International Convention on the Elimination of All Forms of Racial Discrimination. According to the information note for NGOs, civil society members who would like to attend the CERD’s session must register through the Indico system before April 12, 2019. To view session documents, including State reports and civil society submissions, visit the CERD’s 98th Session webpage. For more information on the CERD, visit IJRC’s Online Resource Hub. The Committee Against Torture (CAT) will hold its 66th Session from April 23 to May 17, 2019 in Geneva, Switzerland. According to its provisional agenda, the CAT will conduct interactive dialogues with Benin, Congo, Germany, Mexico, South Africa, and the United Kingdom to assess their implementation of the Convention against Torture and Other Cruel Inhuman or Degrading Treatment or Punishment (Convention against Torture). It will consider and adopt list of issues for Burkina Faso and Uzbekistan ahead of those States’ interactive dialogue, and list of issues prior to reporting for the Dominican Republic, Honduras, Kuwait, Lesotho, and Mongolia to address in its simplified reporting procedure. Civil society members who would like to attend the Committee’s session must register through the Indico system before May 17, 2019. To view session documents, including State reports and civil society submissions, visit the CAT’s 66th Session webpage. For more information on the CAT, visit IJRC’s Online Resource Hub. Various independent human rights experts and monitoring bodies, known as UN “special procedures” have country visits or sessions scheduled for April. Seven special rapporteurs, one independent expert, and two working groups will carry out country visits this month. Additionally, three working groups will hold a session in Geneva, Switzerland. The Special Rapporteur on the sale and sexual exploitation of children agreed to visit Bulgaria from April 1 to April 8, 2019. The UN Working Group on the issue of discrimination against women in law and in practice agreed to visit Greece from April 1 to April 12, 2019. The Special Rapporteur on adequate housing as a component of the right to an adequate standard of living, and on the right to non-discrimination in this context agreed to visit France from April 2 to April 11, 2019. The Special Rapporteur on the rights of persons with disabilities agreed to visit Canada from April 2 to April 13, 2019. The UN Working Group on the issue of human rights and transnational corporations and other business enterprises agreed to visit Georgia from April 3 to April 12, 2019. The Special Rapporteur on the right to education agreed to visit Tunisia from April 7 to April 12, 2019. The Special Rapporteur on the rights of indigenous peoples agreed to visit Timor-Leste from April 8 to April 16, 2019. The Special Rapporteur in the field of cultural rights agreed to visit the Maldives from April 24 to May 6, 2019. The Independent Expert on sexual orientation and gender identity agreed to visit Ukraine from April 30 to May 10, 2019. The Special Rapporteur on the situation of human rights defenders agreed to visit Mongolia from April 30 to May 13, 2019. The UN Working Group on Arbitrary Detention will hold its 84th Session from April 24 to May 3, 2019 in Geneva, Switzerland. The UN Working Group on the use of mercenaries as a means of violating human rights and impeding the exercise of the right of peoples to self-determination will hold its 36th Session from April 1 to April 5, 2019 in Geneva Switzerland. The Intergovernmental Working Group on the Right to Development will hold its 20th Session from April 29 to May 3, 2019 in Geneva, Switzerland. During their country visits, these special procedures mandate holders will assess both the overall human rights situation in the country and the issues specific to their thematic focus. Experts also meet with civil society, government, and national human rights institutions when they visit a country. Their findings are published later in reports addressed to the UN Human Rights Council and the UN General Assembly. See OHCHR, Country and other visits of Special Procedures. To view the full list of forthcoming country visits, review the Special Procedures’ Visits document and visit the OHCHR website. For more information on each special procedure, visit IJRC’s Online Resource Hub. For more information on the European Court, visit the IJRC’s Online Resource Hub.